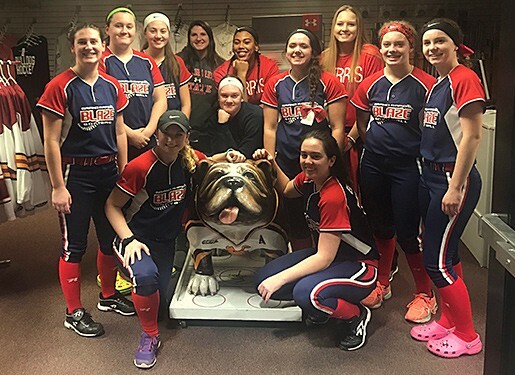 Updated Tuesday February 7, 2017 by Grand Rapids Blaze Softball. Attendees were, Addison Binney, Alex VanElls, Jess Bernock, Brooklyn Davis, Aurora Wilks, Hanna Mikkelson, Allyson Lange, Hailey Enbody, Sara Peepers, and Jenna Vandervelde. They won two games and lost one game. Great day for our girls. Special thanks to Jenna VanderVelde from 14u team for helping at catcher position, she did a great job. External links are provided for reference purposes. Grand Rapids Blaze Softball is not responsible for the content of external Internet sites. Copyright Grand Rapids Blaze Softball All rights Reserved.